Whether you are selling your home, just purchased your first home, or are a homeowner planning to stay put for a while, there is value in knowing which home improvement projects will net you the most Return On Investment (ROI). While big projects like adding a bathroom or a complete kitchen remodel are popular ways to increase a home’s value, something as simple as updating landscaping and curb appeal can have a quick impact on a home’s value. 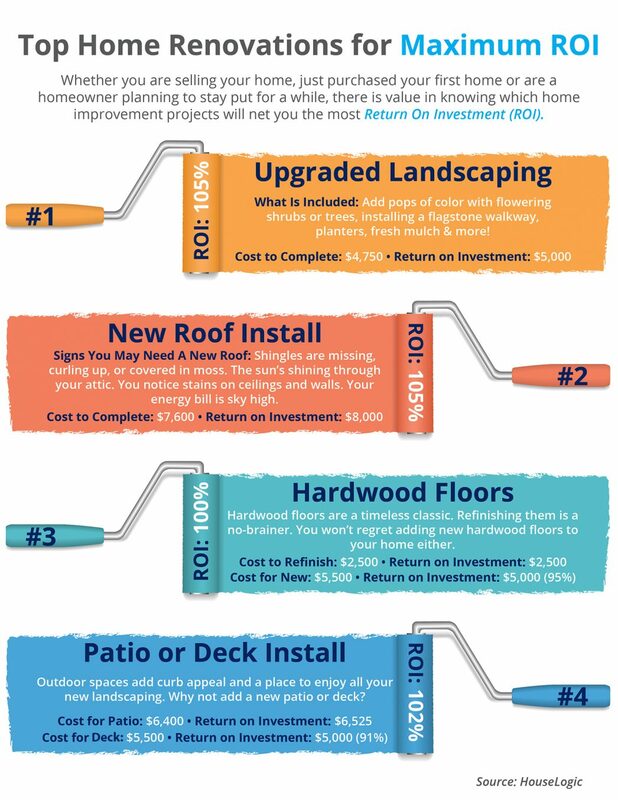 For more information about top renovation projects that net you the most ROI, you can check out the complete list here. 4 Reasons to Buy NOW! The Deal of the Century?? Why You Should Sell Now! Did It Make Sense to Wait?